Starters by Lissa Price sounds amazing and it’s out now in NZ. Check out Lissa’s website for more about Starters and her writing – lissaprice.com. I have 2 copies to give away so enter your details below to get in the draw. Competition closes Wednesday 23 May (International). Thanks to everyone who entered. The winners are Blake and Sandra. I’m so excited about this book! Insurgent is Veronica Roth’s sequel to Divergent, one of my favourite books of 2011. I loved Divergent even more than Hunger Games and I can’t wait to find out what happens to Tris and Four. Insurgent is released in NZ on 4 May 2012 so make sure you order a copy at your bookshop or library now. The recent trend in the publishing world of dystopian fiction is one that I am embracing whole-heartily. I love the way different authors portray our future society, throwing in a corrupt ruler or organisation, a touch of romance and a mystery that their hero has to solve. The majority of recent dystopian novels are set in America (or what was once America) so it was refreshing to read about a future Britain in Philip Webb’s Six Days. Cass, her brother Wilbur, and their dad are Scavvs. They work day in, day out ransacking what’s left of London, looking for a lost relic that no one has ever seen. London is one of the only cities in the world left standing after the Quark Wars. The Vlads have taken over control of the city and have forced those still alive to scavenge London to look for the ‘artifact.’ Cass’ brother, Wilbur, believes he knows where the artifact is and he’s determined to find it. When Cass has to rescue her brother from what was once Big Ben, they meet a mysterious boy who looks nothing like a scav. Not only is he not a scav, he’s also not of this world, and he knows the truth about the artifact that everyone is looking for. This artifact has the power to begin and end life on earth and the Vlads will stop at nothing to get hold of it. 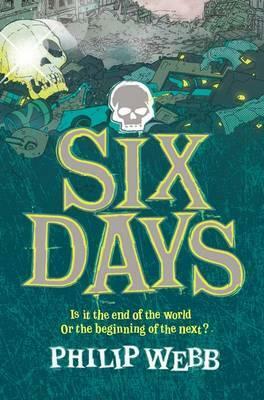 Six Days is an original, exciting mix of action, adventure, mystery and science fiction. While I was reading it I was reminded of a quote from Shrek, ‘Ogres are like onions,’ because Six Days is also like an onion – there are so many layers to the story. At first it seems like a dystopian story because you’ve got a future society ruled over by the invading Vlads. Then there’s the mystery of the artifact and the race to find it. There’s also the story of where the artifact has come from and it’s link to the mysterious boy Cass meets in Big Ben. All of these different parts come together in one incredible story that rockets along. Cass is a fantastic narrator and will appeal equally to boys and girls (there’s no gushy romance to put guys off). Philip Webb makes you really care for the characters and that’s what got me so engrossed in the story. One of the reasons I like Six Days so much was because it’s not the first book in a trilogy, so Philip has packed so much into one book and you finish it satisfied that the story has come to a conclusion. I can’t wait to see what Philip Webb writes next! The Bridge is the brilliant new dystopian thriller by New Zealand author, Jane Higgins. It is the very deserving winner of the 2010 Text Prize for Young Adult and Children’s Writing. I’m currently in the middle of it and don’t want to put it down. My review will be posted later this week. Some of my favourite stories are ones that are set in our world, but in the near future. Divergent by Veronica Roth is one of those stories. It is set in a society where everyone is separated into 5 different factions or groups; Erudite the Intelligent, Dauntless the Brave, Amity the Peaceful, Candor the Honest, and Abnegation the Selfless. The main character, Beatrice, belongs to Abnegation, the faction that focus on others rather than themselves. When you get to a certain age, you have to take a test to find out which faction is the best one for you to spend the rest of your life in. You have the choice of staying in the faction you were born into or changing to your best-suited faction. Beatrice’s results in her test means that she could choose from three different factions. She chooses Dauntless, the faction of the daring and fearless, leaving behind her family and a faction that she can’t return to. To become Dauntless, Beatrice (Tris, as she now calls herself) must pass the 3 stages of initiation. She makes friends and enemies throughout the initiation, including Peter who will do anything to be the top initiate. As she goes through the stages of initiation, it becomes clear that Tris is able to manipulate the simulations within the challenges and cope better than anyone else. 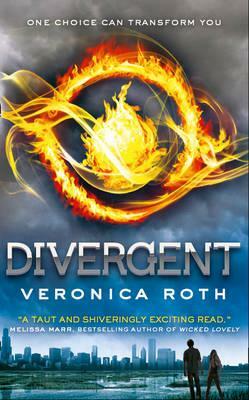 She discovers that she is Divergent, but what does that mean and why is it dangerous for anyone to find out that she is? The students vie with each other to be noticed and sponsored (or ‘branded’) by the corporations, thereby giving them celebrity status and financial freedom. Students each have iPad-like devices that they use to update their profile pages and live streams. When Kid witnesses a mock suicide staged by an anonymous group called the Unidentified, she begins to doubt the system. The story will strike a chord with teens and they’ll be able to really relate to Kid and the suffocating world she lives in. Across the Universe is the absolutely amazing debut Young Adult novel by Beth Revis and I can already tell that it is going to be one of my favourite books of the year. The story starts with Amy who, along with her parents, is being prepared to be cryogenically frozen for the next 300 years as they travel to a new planet. Her parents and the other adults on the ship all have special skills that will help to colonise this new planet, while Amy is a nonessential, just there because of her parents. There are also others on board the ship, Godspeed, who are not frozen but keeping the ship moving on it’s course. Elder is one of these people. He is the youngest person on the ship and the one chosen to lead the next generation. When Amy is violently woken 50 years before they are due to arrive on the new planet, she creates tension in Elder’s carefully ordered society. On a ship in the middle of space where everyone has the same skin and hair colour, similar features, and never questions the rules, Amy is not welcomed.Amy’s questions and Elder’s own discoveries lead them to uncover the lies that Eldest has been telling them all about the ship and their quest for Centauri-Earth. Beth Revis leads you on a rollercoaster ride, with lots of unexpected twists and turns. Across the Universe has something for just about every reader – a dystopian society, science fiction, mystery, murder, and a touch of romance. It’s the first book in a new trilogy and I really can’t wait to read more. Get your hands on one of the hottest YA novels of 2011! You can also check out Beth’s website and read her very entertaining blog.